After weeks of planning and building, the hard work and countless volunteer hours paid off in a big way during the 1st Annual North Main Street Christmas Parade held last Sunday on North Main Street in Evansville, Indiana. J.H. 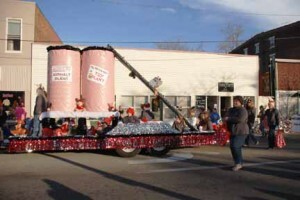 Rudolph & Co., Inc.’s ‘Santa’s Secret Toy Shop” themed float took home the top prize, ‘2012 Best in Parade Float’. The 2012 J.H. Rudolph & Co., Inc. float design and creation was headed up by employee Justin Kloszewski. Many employees, and their families, volunteered time, man power and great ideas including Stephanie Forney, Bryan Rucker, Rosemary Hall, Natalie Maasberg, Angela Kifer, Donnie Shaw, Becky Fitzsimmons and Grant Johnson. 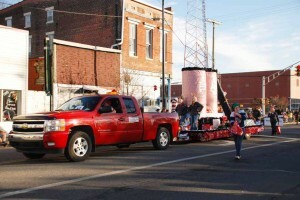 This years float featured two J.H. Rudolph asphalt silos that Santa’s elves turned into a Temporary Toy Factory to help with the Christmas rush. J.H. Rudolph & Co., Inc. has been creating Christmas parade floats with 100% employee volunteer time for the past 4 years, participating the first three in the Annual Downtown Christmas Parade, which has now become the North Main Street Christmas Parade. 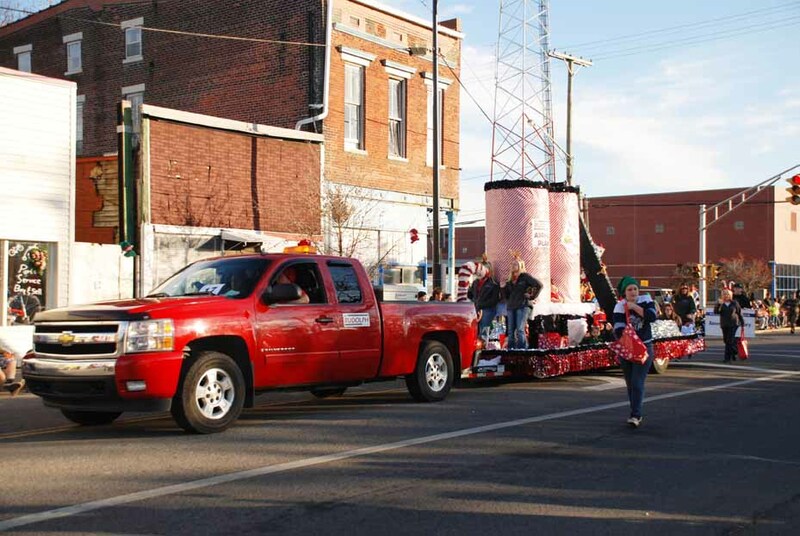 The Christmas parade float project is one part of the company’s ‘PAVE IT FORWARD’ community relations program, devoted to giving back to the communities we live and operate in. “We spend a lot of time brainstorming, gathering resources and building this float every year, but when you see the smiling faces on all the kids lined up down Main Street as the float goes by, it makes it all worthwhile.”, commented J.H. Rudolph employee Stephanie Forney. You are currently browsing the J.H. Rudolph and Co., Inc. blog archives for November, 2012.